(ZIZ)– Crime and debt reduction were among the issues outlined as part of a long list of accomplishments of the St. Kitts-Nevis Labour Party-Led government of St. Kitts and Nevis. 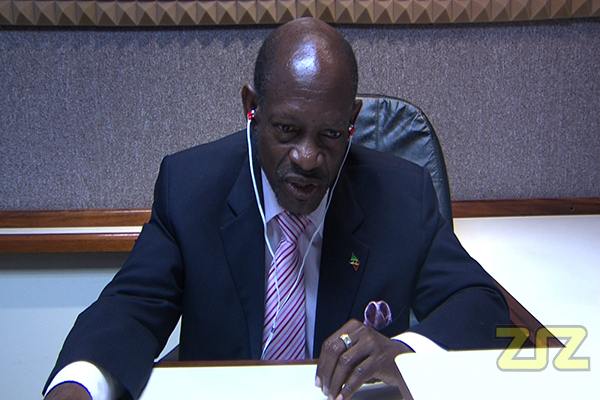 The nation’s Prime Minister, The Right Honourable Dr. Denzil Douglas, while speaking during his weekly programme “Ask the Prime Minister”, said St. Kitts and Nevis had come a long way. “The government has brought crime down. We have brought the debt down. The IMF, that super strict, highly demanding, international judge of economies everywhere, has given us high marks time and time again. Civil servants are receiving their cheques and they are receiving salary increases because increments have been returned. All government workers have comprehensive healthcare and the entire nation is next in line,” he said. Among the other accomplishments listed by the renowned leader was the improvement to the housing sector. “Land is being distributed far and wide and people know it. Our historic housing programme is continuing with habitat 30 being the most recent chapter in this glorious story and the public is pleased,” he said.